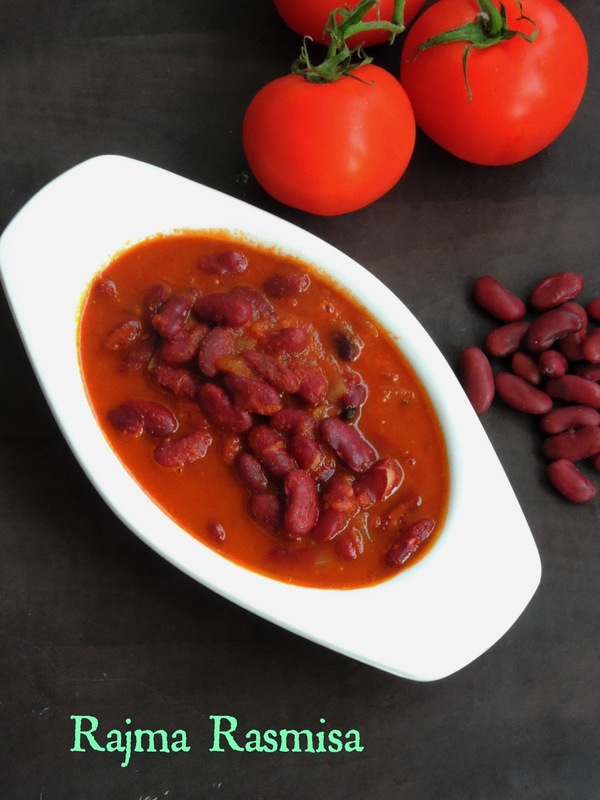 Rajma/Red kidney beans makes excellent dishes and my today's post is one among those fantastic dishes you can cook up easily with this nutritious beans. Soya Rajam Kheema aka Minced soya with Red kidney beans, trust me this curry makes an excellent side dish to relish with some rotis or else wrap it or simply use as stuff for making parathas. So many option to enjoy this nutritious, vegan keema. Usually i love to make kheema with soya nuggest as they are very much nutritious to enjoy without any guilt. 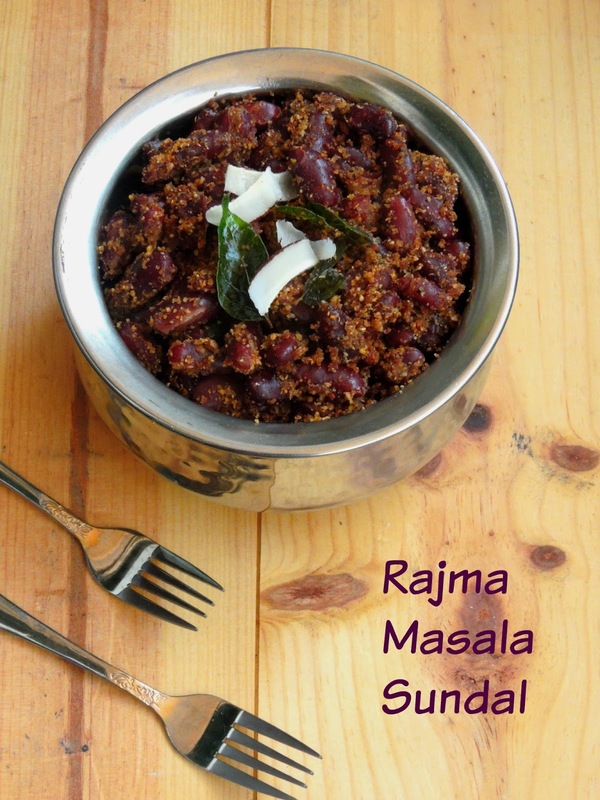 Adding rajma to a usual soya keema makes this already delicious dish more healthy and nutritious at the same time. With all spice powders went in it, this vegan kheema makes an excellent accompaniment to relish even with some toasted bread slices. 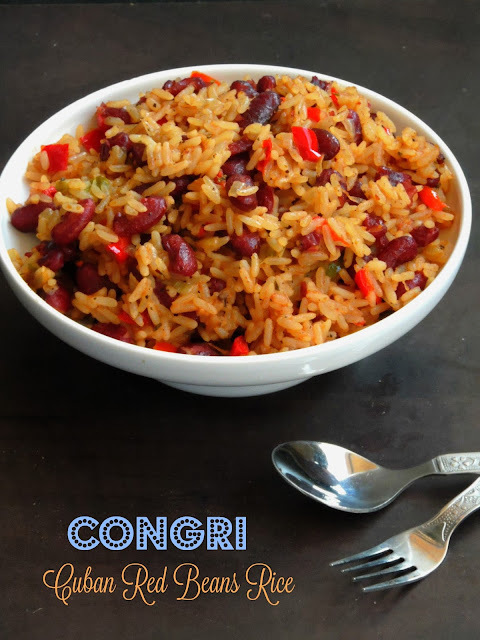 Arroz Congri/Congris is typically a Cuban black beans rice,though many different variations do exists and one among is this red beans and rice version. Congri is prepared mostly with meat especially pork, but i opted for vegetarian version actually a vegan one. However i followed this recipe, this red beans and rice is from eastern part of Cuba, though many people consider this dish as a signature dish of Oriente province. Traditionally this rice dish is cooked with fat from pork meat and ham is added to the rice to make this dish as a complete meal. However this vegan version tastes simply fabulous and quite nutritious to enjoy as a main course with some grilled vegetables or pan fried potatoes. Since this dish calls for long grain rice, you can also serve this red beans rice a salad. Usually Vatha kuzhambu/Vathal Kuzhambu is prepared simply with dried berries or else with sun dried vegetables. 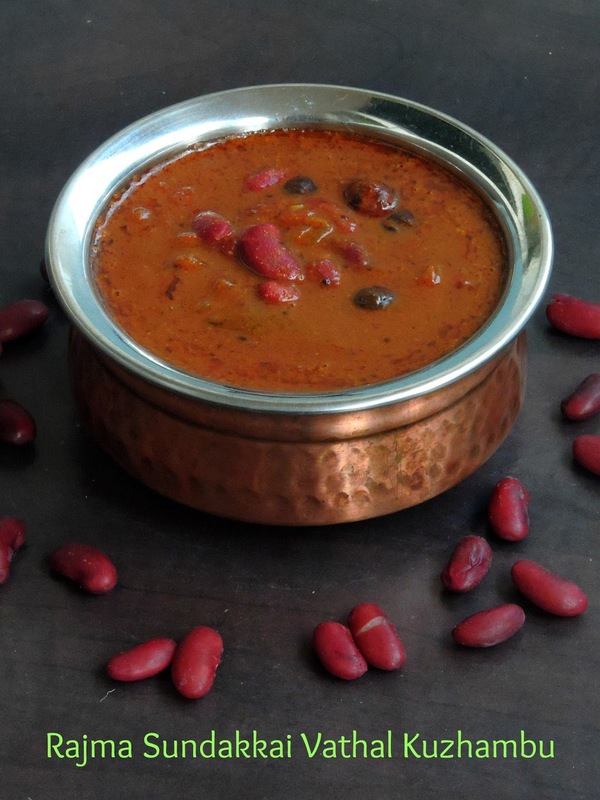 My today's recipe goes for a fingerlicking tangy gravy with kidney beans aka Rajma.Adding rajma makes this gravy more delicious and definitely nutritious. Dried turkeyberries have many health benefits, especially its advised to take often in our diet . Since this turkey berries have bitter taste, most of the time none at home like to have anything cooked with this berries. However i found out a better way to sneak this vegetable and its works awesome. If i prepare sundakka vatha kuzhambu, once the gravy gets finished, i mix immediately the cooked rice to the gravy drizzled with ghee or gingelly oil,and keep aside atleast for an hour before serving.This method works and my kids just love this vatha kuzhambu rice when served along with papads,fryums or else with boiled eggs. A crumpet is a griddle cake and these cakes makes an excellent breakfast or snacks depends upon how its served. 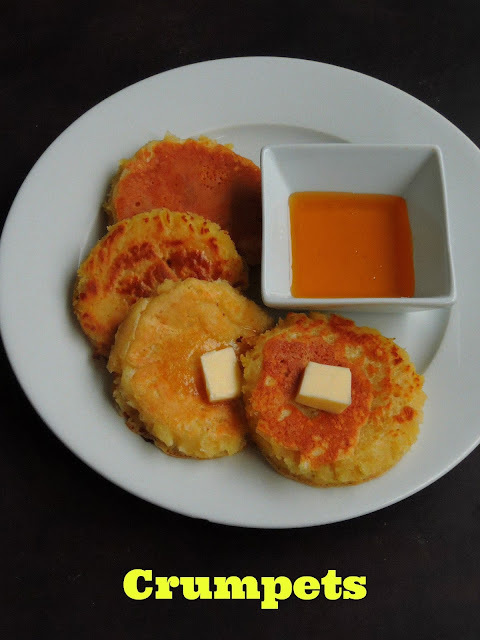 This English crumpets are generally round in shaped and their shape is obtained by pouring the yeasted batter by a shallow ring in a pan/griddle. This cakes have their characteristic flat top with many small pores, with a chewy and spongy texture. They are cooked in simmer and served immediately to serve warm. These cakes can be cooked slightly undercooked and toasted later to enjoy for breakfast. Often served with butter, you can enjoy thoroughly this spongy crumpets with jam, honey, spread like nutella, caramel etc.English muffins and Crumpets are two different griddle cakes, though they are both round with spongy texture. However crumpets are served whole with butter and jam while English muffins are splited before serving. Halabessa/Halabisa is a well known Egyptian Chickpeas soup which calls for chickpeas with some simple ingredients. 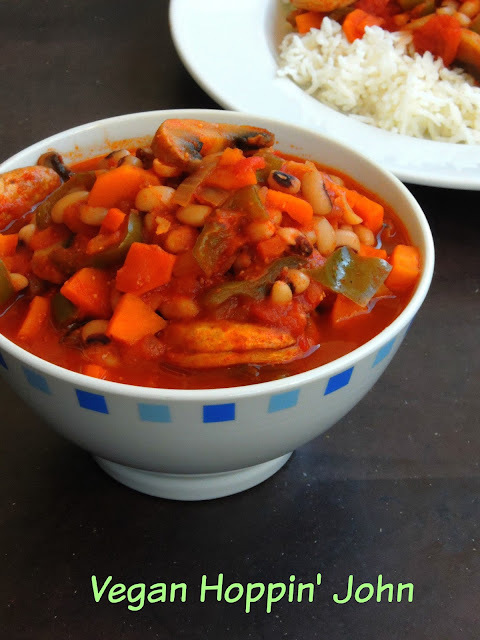 This soup is served with lemon, mostly hot during winter as this soup is very warming,wholesome, nutritious, hearty and comforting while the weather is down. People call this soup as snack soup, since this soup is a savoury drink which is served in glass cup with a spoon and lemon wedge. 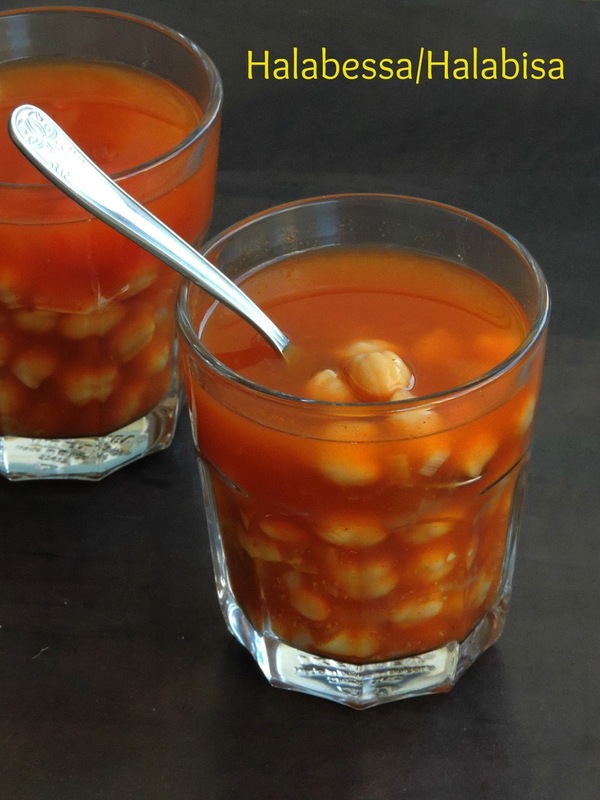 Actually Egyptian drink this soup and enjoy eating the cooked chickpeas with the spoon given along with the soup. Actually every food stall in Egypt sells this mildly spicy Halabisa during winter as a street food and this soup is also quite popular in Gulf countries especially in Iraq but Iraqian version of this chickpeas soup is cooked without tomatoes. Yes Egyptian version calls for some tomato pieces and tomato paste which gives a pleasant colour to this simple soup. 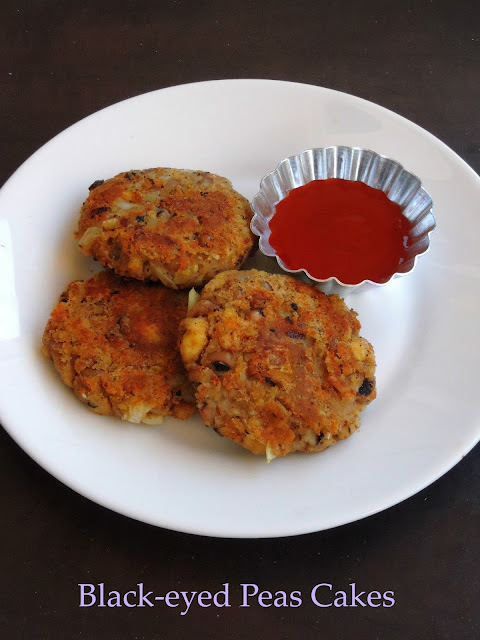 Shami Kebab or Shaami Kebab is quite a popular kebab variety which is mostly prepared with minced or ground meat though vegetarian versions with potato or paneer is quite popular as well.Shami kebab is eaten as snack or an appetizer. 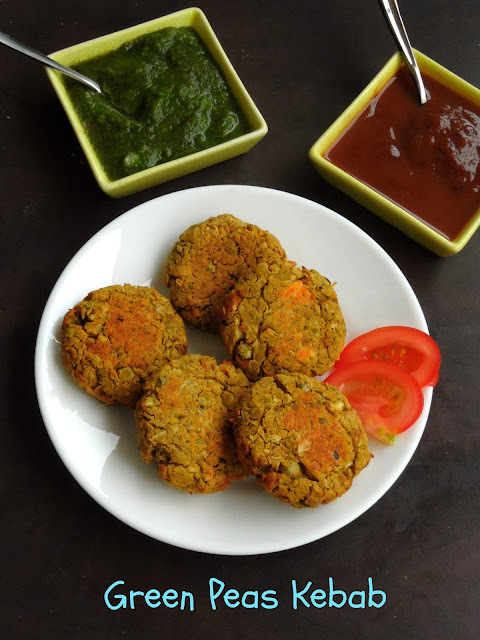 They are served along with sheer kurma during Eid celebrations.Do you know shaami kebabs may be served with roti along with ketchup, raita or chutney. Though most of us love shami kebab prepared with meats, not to forget that many vegetarian and vegan version do exists. And my today's post is a fantastic, dangerously addictive, vegan shami kebab with chickpeas as main ingredient. Prepared with variety of spices, this incredible vegan shami kebab makes an excellent evening snack to enjoy with your favourite sauce. Paella is a Spanish/Valencian dish with is usually prepared with rice. Many types of Paella exists from meat to seafood, mixed to vegetarian/vegan. However the original, traditional Paella recipe consists of white rice, green beans, white beans, meat and seasoning like saffron and rosemary.Some says that this dish is a Spanish's national dish but the real spanish peoples consider this rice dish as a regional Valencian dish. Paella is cooked usually in a special pan and it is cooked over open fire, fueled by orange, pine branches along with pine cones gives an excellent aroma to this one pot meal. Since i dont want to go with the traditional paella, i googled to have look for a different paella that too without rice. 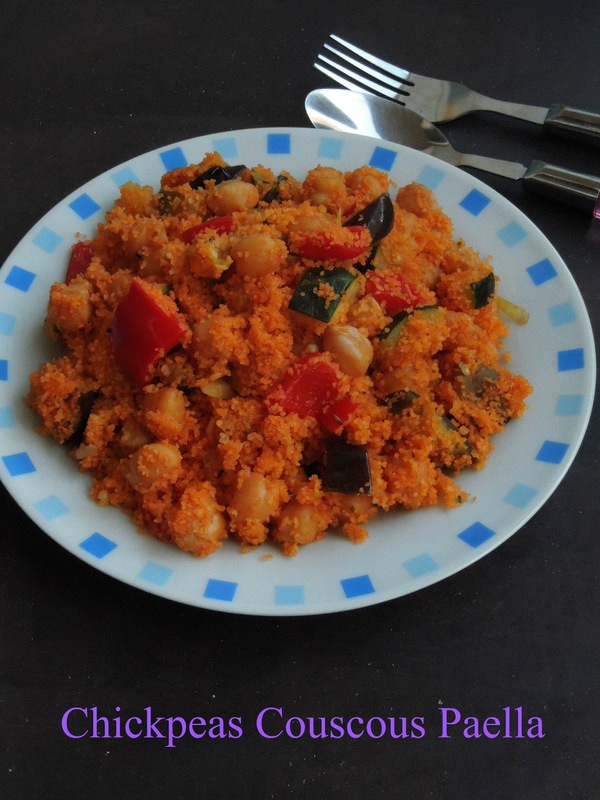 I got hooked to this Chickpeas Couscous Paella which pulled me to give a try to this vegetarian version of Paella. 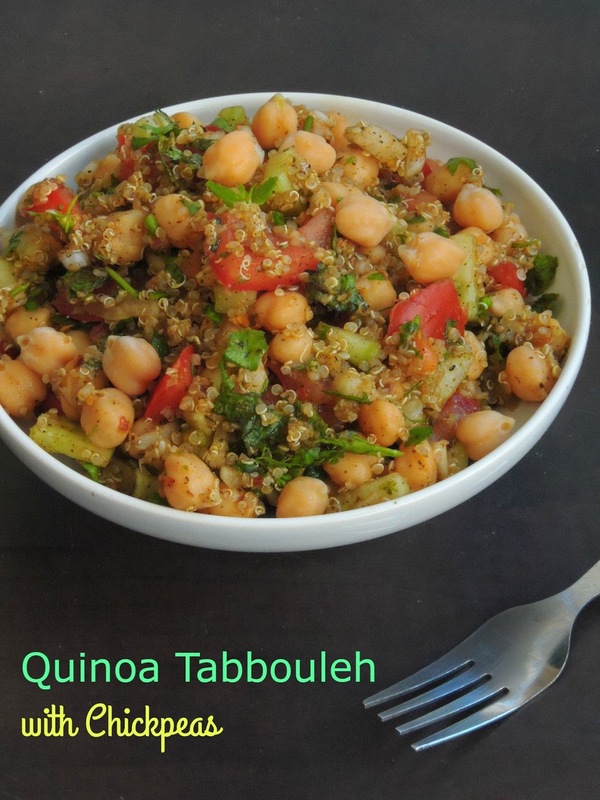 Do you love chickpeas ashummus very much? or Are you tired of eating the usual hummus?, then its time to give a try to this Tuscan Mashed Chickpeas. Tuscan mashed chickpeas calls for easy ingredients. Its quite a fabulous appetizer to enjoy with some potato chips or tortilla chips before a meal or else to serve as a starter while you have friends around you. 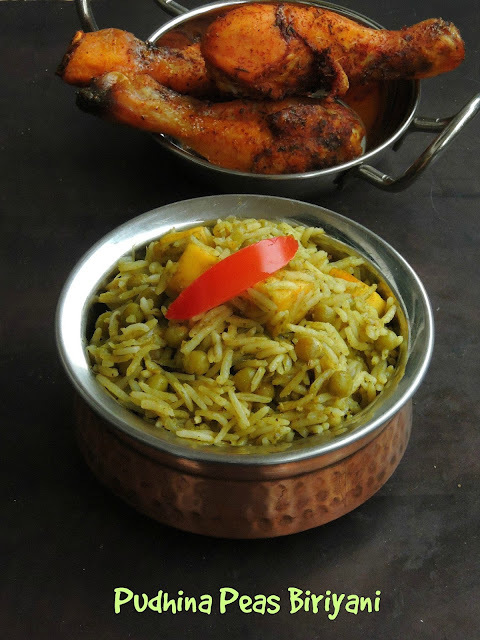 An excellent crowd pleaser and definitely a kid's friendly dish as well. 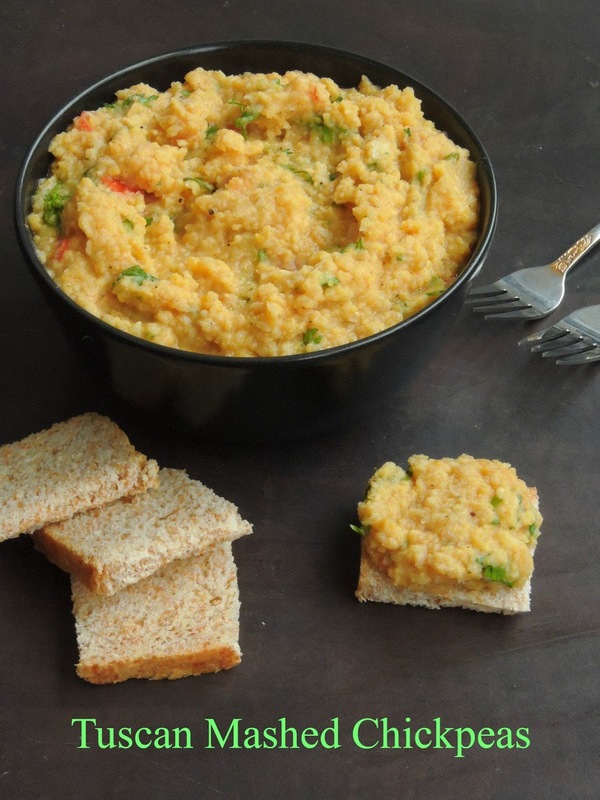 You can serve this mashed chickpeas as main course even along with a salad or else with a soup with some grilled meats. A complete and nutritious meal to enjoy without any guilt. Totally gluten free, this mashed chickpeas tastes super delicious, aromatic and quite cheesy as parmesan cheese is added. 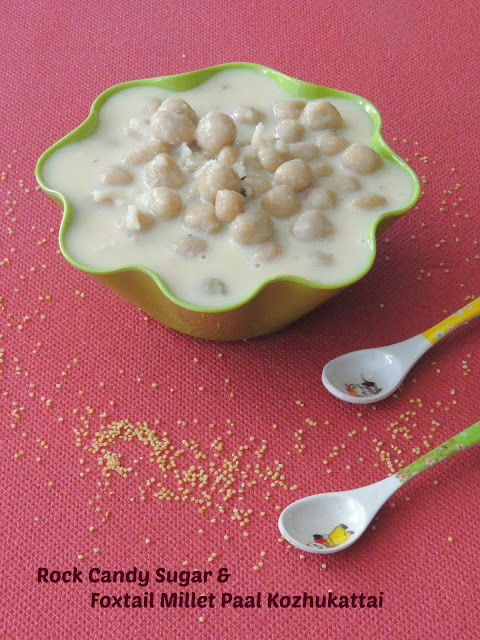 If you love mashed potatoes, am sure you will go crazy if you taste this mashed chickpeas. 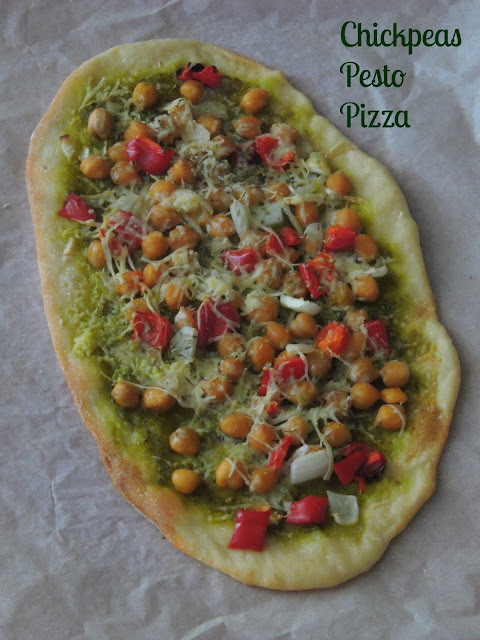 Pizza is every kid's favourite, and i have rarely seen kids saying 'no' to this fantastic Italian bake. Loaded with cheese, pizza makes everyone happy at home and my kids are ardent fan of this cheesy dish. Earlier i never baked pizza at home and then later i realized that making pizza at home wasnt a tough job.Once i started baking bread at home, i tried making pizza at home and every time i make pizza, it was a big hit at home. Now i dont run behind the store bought ones, pizza dough can be prepared a day before and they are conserved very well in fridge.Homemade pizzas are always the best and you can mix and match the ingredients according to your wish with vegetables and cheese available in your fridge.Coming to my today's post, this pizza calls for pesto which can be prepared simply at home with less efforts. Am kickstarting 4th week of Mega marathon with my family's favourite beans aka chickpeas as am showcasing a Dry bean a week with 5 ingredients for 5 weeks as theme under Cooking Carnival as title.Chickpeas/Channa/Garbanzo beans is one the healthiest food which can be cooked as many delicious foods.This Garbanzo beans are included in everyday's diet around the world and many traditional dishes from Middle East, Mediterranean region and few countries in Africa is prepared with this incredible legume. The nutritional benefits of this beans includes Protein, vitamins, minerals which is often included in many nourishing foods. This beans offer many health benefits such as boosting digestion, helping to keep the blood sugar levels stable,helps a lot in weight loss, increasing protection again some disease and many more. Do you know that chickpeas is the most widely grown and eaten bean in the world after Soyabean. After chinese foods, i have a preference to Mexican foods. Though we dont get the traditional Mexican foods here is Paris, i love to indulge their burrito bowls or their tacos. Actually every cuisine is adapted especially in restaurants to satisfy French people's tastebuds.Hence none follow the traditional recipes,but its better than nothing rite. If we plan to go for restaurants, my first suggestion will always goes for Chinese, then Mexican or Moroccan. Am eagerly waiting to go a trip to Mexico to enjoy their traditional foods, seriously dunno when my better half is going to plan for it. Until i dont have any other option to enjoy the traditional Mexican food. Obviously i prepare myself some easy dishes at home. My today's post goes for a flavourful one pot meal aka cilantro lime rice which is usually used as stuffing in Burritos or tacos. Still they can be enjoyed for lunch with a spicy gravy. Since am running this week's marathon with Black beans as the main ingredient, i couldnt stop myself adding this protein rich beans to this famous rice. empanadas my today's post goes for a meatless black bean balls. 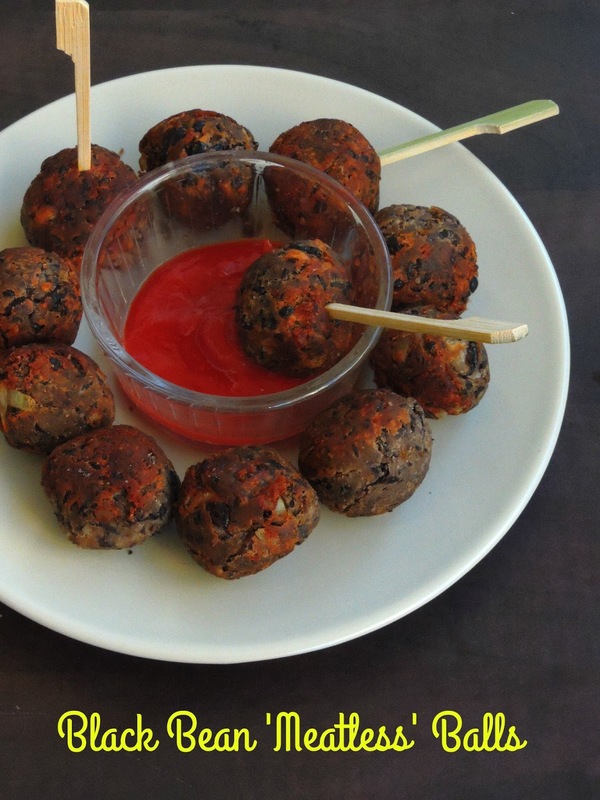 If you looking for an interesting meatless balls, am sure this black bean balls will definitely satisfy your crave. 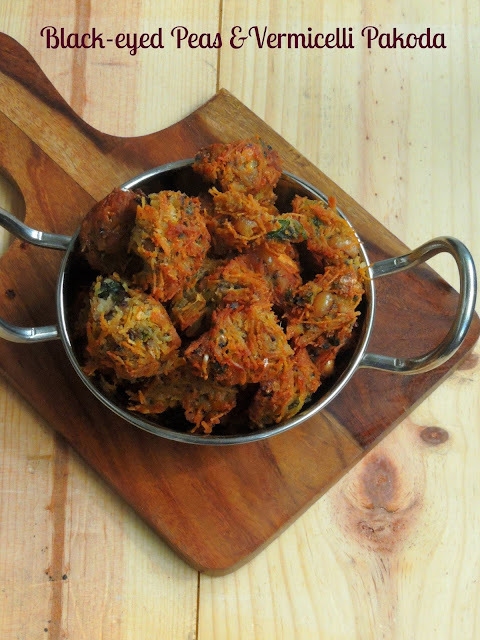 These vegetarian balls are full of proteins and definitely an excellent vegetarian substitute for traditional meatballs. 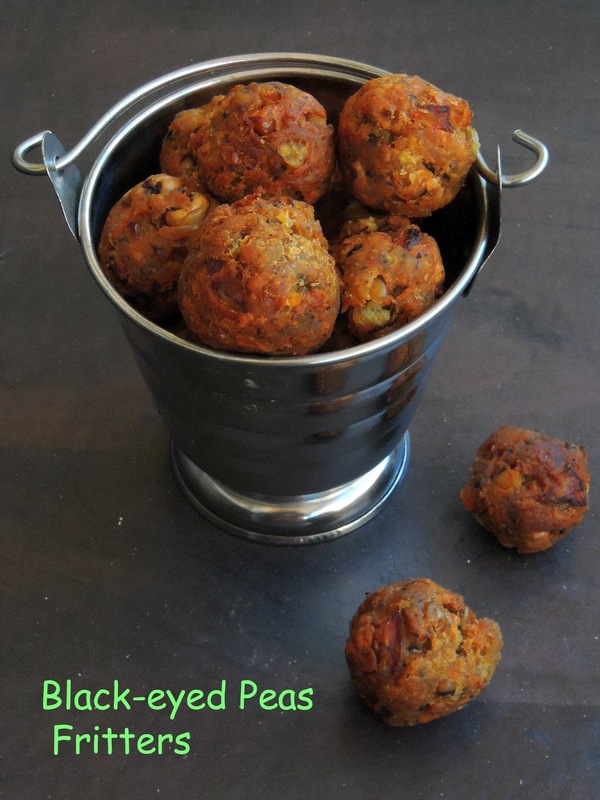 Am sure vegetarians will enjoy thoroughly this black beans loaded vegan balls as they are simple and easy to dish out. Usually these meatless black bean balls are served along with spaghetti drizzled with some tomato sauce. Since none at home want to have this balls dunked in tomato sauce, i simply served them for their snacks with their favourite sauce. Here comes an another week of blogging marathon, am running this mega marathon with 5 ingredients for 5 weeks. And i picked a dry bean for a week, after dry green peas and dry black-eyed peas, am gonna show case Dry black beans for a week. Black beans are really healthy for both vegetarian and non vegetarian.These tasty and nutritious beans are easily available either as dried ones or in can. 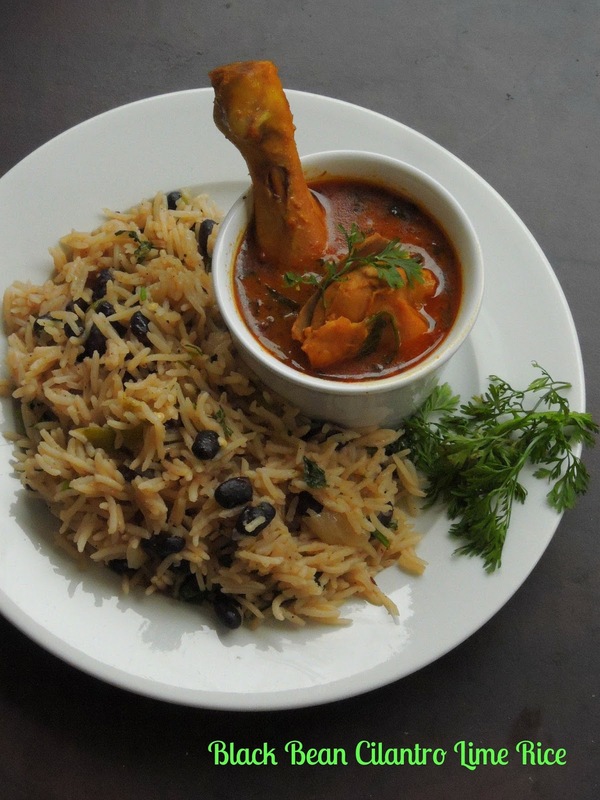 However the health benefits of this beans includes protein, fibre, antioxidants and many more micronutrients. Since these beans are high in protein, its definitely a good choice to vegetarian or for dieting people. Taking black beans often in your menu can boost your iron intake. 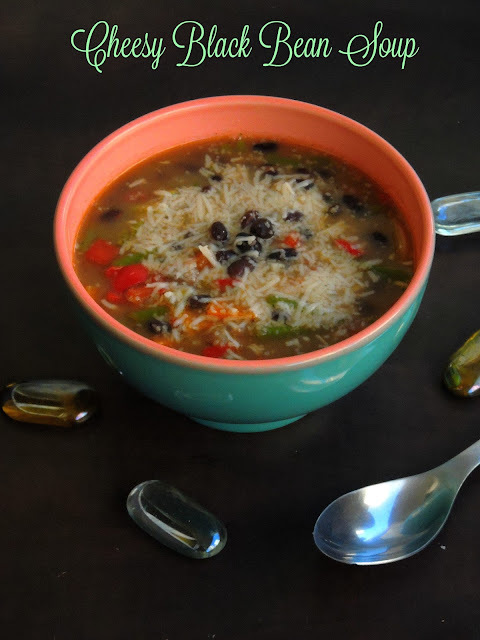 Rich in calcium as much as like other beans, black beans are in high in fiber as well. If you dont know how to add this healthy beans in your diet, dont forget to check my upcoming posts with this incredible beans. If you are searching for a different or not a usual evening snacks, then dont forget to check my today's post. Black-eyed peas is the star ingredient of this week's blogging marathon. Am running a month of blogging marathon with 5 ingredients for 5 weeks with sundays off. 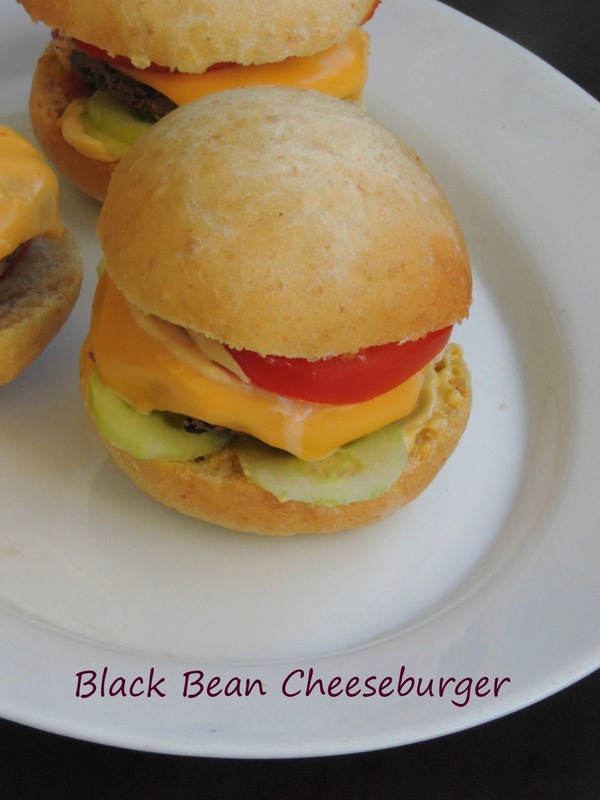 Since i want to showcase a dry bean a week, i have been posting many delicious dishes out of those beans every week and many more to come.Coming to my today's post, its an another interesting snack food which i dished out of the nutritious Black-eyed peas. To give a twist to usual pakodas, i tried my hands in making a super crispy pakodas with cooked and mashed black-eyed peas along with vermicelli. Both works awesome and the pakodas came out extremely delicious. Its summer here, obviously summer fruits are easily available in every farmer's market. Needless to say watermelons started showing their heads and last week we bought a huge watermelon from farmer's market. After having them instead of trashing their rinds, i usually use them for making some nutritious dishes. Dont ever trash the white rinds after having watermelon, they makes wonderful foods.This dal based gravy makes an excellent meal when served along with rice and papads. 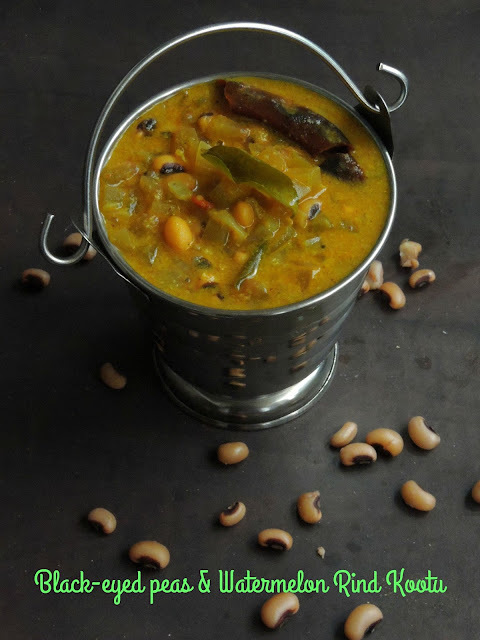 Usually i make kootus with loads of vegetables, but this time when i planned for making a kootu dish, i simply went in preparing this protein rich black-eyed peas with watermelon rinds. Kootu have their important place in our weekly menu, if i want to feed my kids with vegetables i will immediately go for making kootus. 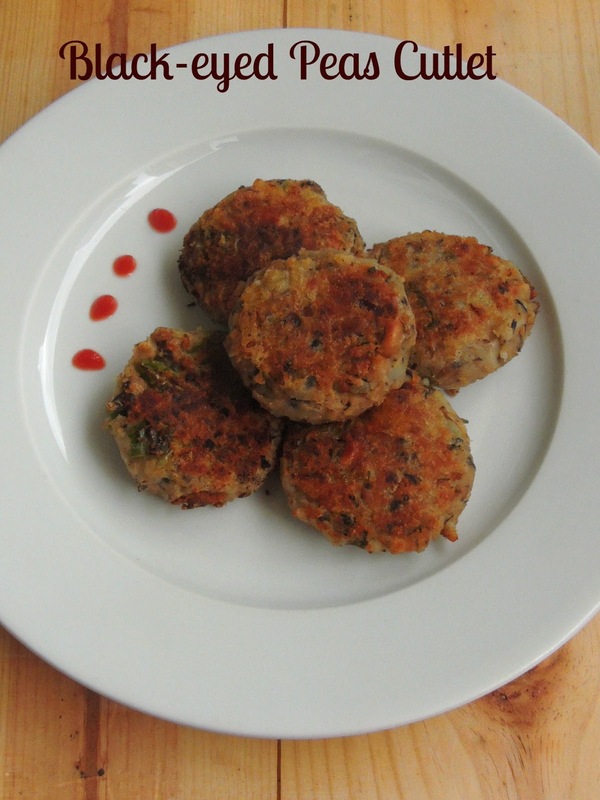 After some deep fried black-eyed peas fritters, my today's post is going to be some pan fried black-eyed peas cakes. Black-eyed peas cakes makes an excellent evening snacks since its calls for simple ingredients. I have seen couple of black-eyed peas cakes through google master and while checking those posts i decided to go with a simple black-eyed peas cakes cooked along with cornmeal.Actually this cakes are inspired from Southern inspired appetiziers or side dish. 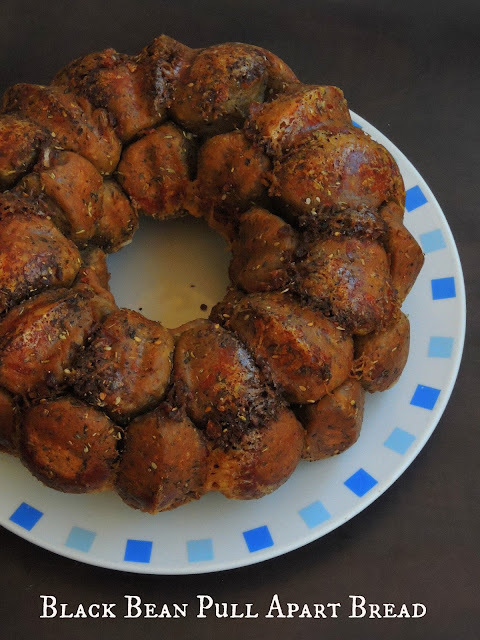 Though canned black-eyed peas works awesome for making this cakes, i preferred to prepare mine with soaked and cooked black-eyed peas which makes excellent cakes as well. If you would have went through my earlier post, you might have noticed that this week's blogging marathon is going to be Black-eyed peas based dishes. Yes am running this month's Mega marathon with 5ingredients for 5 weeks as theme under 'Cooking carnival',and i picked dry beans as my ingredients for 5 weeks.Every week, i will be showcasing a dry bean, after posting three different dishes with dry green peas, this week's posts are dishes with Black-eyed peas. 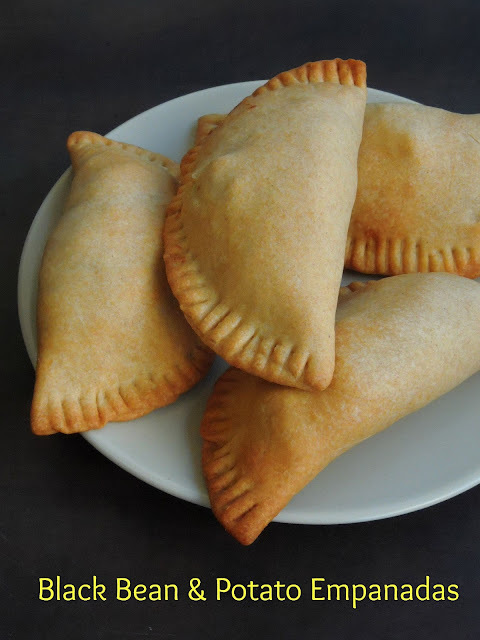 My today's post is a deep fried beauties with black eyed peas as star ingredient. 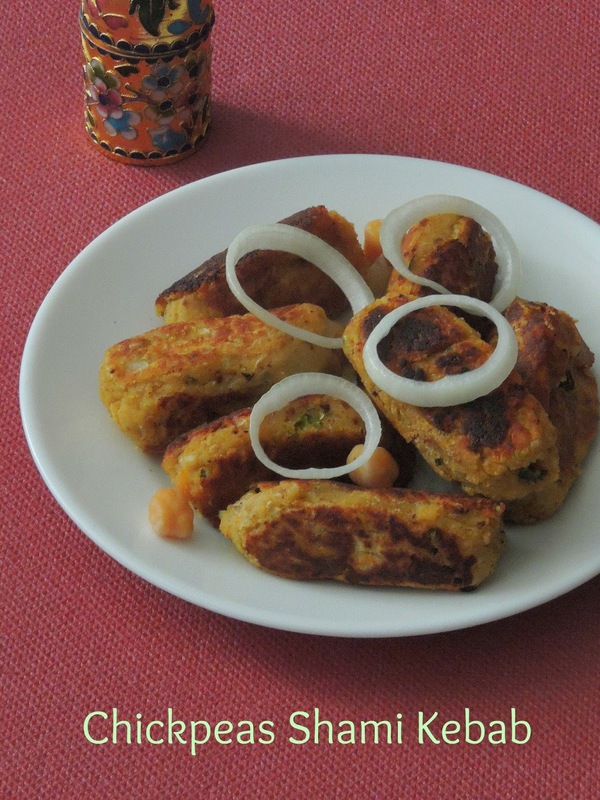 As almost like Akara - Nigerian's Black-eyed peas fritters which calls for grinding the soaked and deskinned black-eyed peas, these fritters are very easy to dish out. An excellent evening snacks to enjoy with a spicy sauce or else simply with ketchup. Coming to this fritters, its quite a cross between our Indian pakodas and hush puppies. After three delicious dishes with Dry green peas, this week's posts are going to be with Black-eyed peas aka White Cow peas. 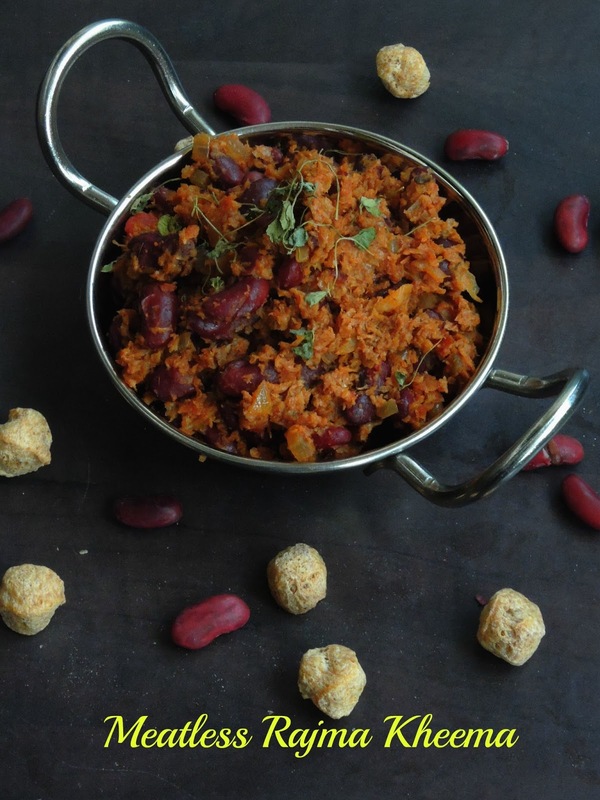 This beans are definitely nutritious and excellent for vegetarian or vegan lovers. 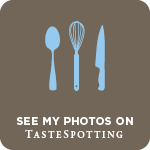 For the first day of this week's blogging marathon, i want to dish and post something different from our usual dishes. While looking for a different black-eyed peas based dishes, i got hooked to this Vegan Hoppin' John. Hoppin' John is a peas and rice dish served during New year's day in Southern United states. Wiki says that eating Hoppin' John on this day is thought to bring a prosperous year filled with luck. Peas are symbolic of pennies or coins and a coin is sometimes added to pot or left under the dinner bowls. Served along with Kale, Collard greens, Cabbage, Turnip greens this dish are supposed to add wealth since they are the colour of American currency. Even cornbread is also served along with Hoppin' John to represent the colour of gold. If you done have rice flour at home for making sweet dumplings aka kozhukattais for the upcoming Ganesh Chathurthi, dont worry my today's post will definitely makes you happy. Am sharing a very interesting pidi kozhukattai aka sweet dumpling today which is quite easy to prepare and serve to please the God Ganesha on his special day. Prepared simply with roasted rava/semolina, jaggery syrup, grated coconut flavoured with cardamom powder, this sweet dumpling gets ready in less time than you can imagine. Very easy to make this dumplings are completely vegan which suits prefectly to please anyone at home. 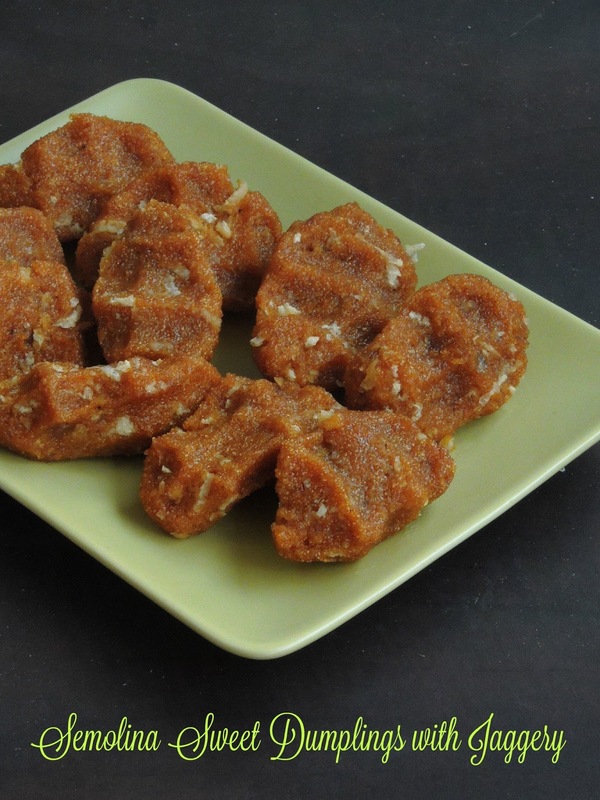 If you dont know how to make Modaks, trust me this rava sweet dumplings will definitely replace those modaks very well for Ganesh chathurthi celebration. 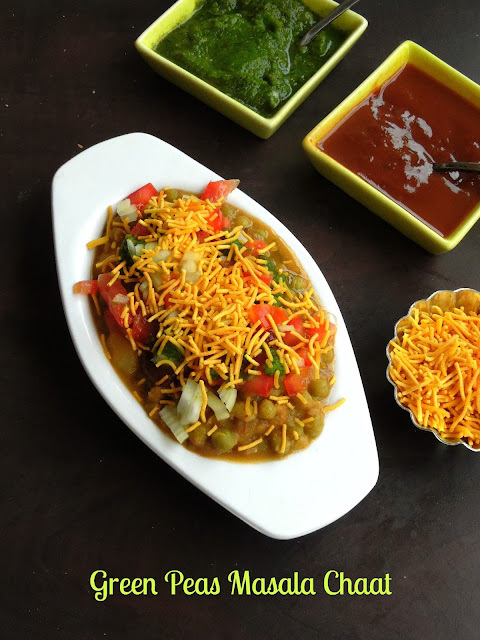 'Chaat', the word itself makes me drool, am an ardent fan of chaat foods. These street foods are my most favourite foods and i can survive for many days with this incredible foods. If i crave for some street foods, i dont have any other option than dishing out myself at home. Yes we dont have chaat food stalls in Paris, heard that some Indian restaurants serves chaat foods, my friends said that they are not super fantastic hence i dropped the idea of tasting chaat foods in restaurants. However if you know how to dish out those fabulous street foods at home, its better to make it out ourselves na. Healthwise and tastewise nothing can beat the homemade stuffs,obviously since ever i started making chaat foods at home, i dont hesitate a second to dish out myself. September, a new academy year starts for us. So september is definitely a busy month with many new beginnings. Not only in our personnal life, even in blogging, every september we run a month of blogging marathon. Actually we marathoners run twice a year a month of blogging marathon during the month of April and September. We have been following this whole month of blogging marathon since 4 years. Am so happy to begin this Mega blogging marathon though i was bit busy with my new job. Coming to this month's blogging marathon, its going to be 26 days of blogging with sundays off.After many challenging themes,we are going to run this month's blogging marathon under 1 ingredient/1category for all 26days or else 5 ingredients /5categories through the month. We named this theme as Cooking carnival. Though i want to pick an ingredient for 26days, my busy schedule pulled me to pick 5 ingredients for 5weeks.